Nutritional Vitamin Supplements - Discover If You Need Them? Why you need nutritional vitamin supplements? 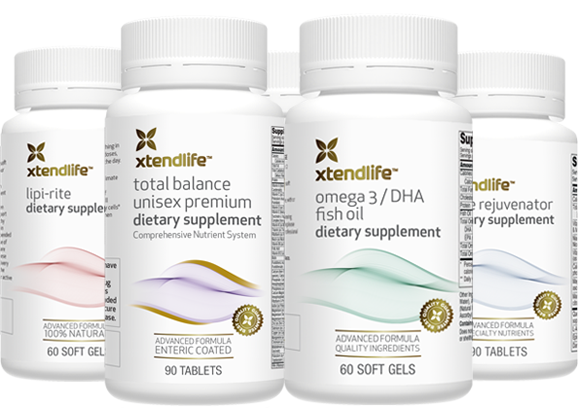 Vitamin supplements cannot replace the proven health benefits of a well-balanced diet and regular physical activity. But why are people popping vitamin supplements like candy? Are they really necessary, do they really make us healthier and prevent disease, or are they simply another moneymaking scheme? Check your nutritional vitamin supplements IQ here. There's no argument that nutrients found in vitamins and minerals are essential to life. Although they're needed in small amounts compared to carbohydrates, proteins, fats and water, they are paramount for all bodily functions including breathing and blinking your eyes and walking and moving about. So how do you know if you are getting the right amounts of these nutrients to prevent disease and ensure optimal health? Some turn to RDI requirement as yardstick for minimum vitamin and minerals requirement. Let's see what is recommended RDI. The minimum amount of these vitamin and minerals is recommended to prevent deficiency signs and symptoms such as scurvy for vitamin C and beriberi for vitamin B1. Most people will find it challenging to eat balance healthy diet consistently. Even if we were to eat perfectly all the time, which most of us don't, our soil is depleted of many important nutrients such as selenium, zinc, magnesium, calcium and others. Therefore food alone may not provide sufficiently your vitamin requirements. Nutritional vitamin supplements is a more viable and practical option to supplement what is lacking. Furthermore, our produce is grown in artificial fertilizers, sprayed with pesticides and then shipped thousands of miles to sit on grocery store shelves for days before landing in our refrigerators for who knows how long before we eat them. Then we cut and cook them, which further strips them of their nutrients. Therefore many has turn to rely on nutritional vitamin supplements to fill their food nutrient gaps. Vanessa Cox, a registered holistic nutritionist in Durham Region, says it's impossible to get all the nutrients we need from food. Even the conservative JAMA (Journal of American Medical Association), in 2002, recommends that each person to take a multivitamin daily. In their summary they stated that a large proportion of population has less-than-optimal intakes of number of vitamins, putting them at the increased risk for cardiovascular disease, cancer and osteoporosis. "It's unusual for anyone to have a major nutrient deficiency, but a lot of people have a marginal deficiency that can cause a lot of different symptoms," says Dr. Miranda. "Multivitamins are best for maintenance, so if you have something specific that's wrong with you, a multivitamin is unlikely to help because they contain a little bit of everything, " she says. On top of that, your should consider other factors such as environmental pollution, stress, disease, drug therapy and aging. Each of these has the potential to increase our body's need for specific nutrients. In her book, "The Real Vitamins & Mineral book", Dr. Shari Lieberman pointed out that to obtain optimal health it is not necessary to just stay away from sickness. She stresses those vitamin and mineral nutrients as a form of protector to our body. Having discovered that you may need to eat nutritional vitamin supplements, here comes your increased awareness how to find out how to choose nutritional vitamin supplements. A reliable source of natural vitamin supplements supplier is included here.